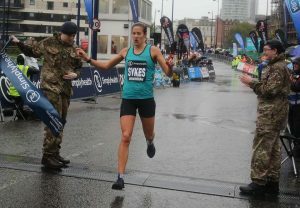 Congratulations to Nic Sykes our Member of the Month for December 2018, this is Nic’s second time winning the MotM award and she was nominated by a various members following wins in the Great Birmingham Run, Worcester Half Marathon and an exceptional start to the Cross Country season. You can read Nic’s answers to the MotM questions HERE. To nominate a future Member of the Month let Dave or another committee member know who you’d like to nominate along with your reasons. The Committee votes on the nominees at the meeting on the second Monday of the month, considering all of the four club values; performance, participation, encouragement and enjoyment! This entry was posted in Announcements, Member of the month by BvH Admin. Bookmark the permalink.